Hailee Jean Conrad, 19, was and is an amazing woman of incredible faith. She left this world on December 14, 2017 just like she came into it ,on February 5, 1998, unexpectedly. If Hailee could, she would tell you: hug your friends and family a little tighter each day. She?d want you to reconnect with family and friends who?ve fallen out of touch. Hailee lived her life with love and hope in her heart. Hailee also had an unrivaled willingness to forgive. She would want you to overcome the hardship of forgiveness and replace petty differences with understanding and love. She also prioritized those in need and would want you to use your time, money, and talent on someone in need. Hailee was a sophomore psychology major at the University of Kentucky. She planned on using her degree to help young victims of domestic abuse. Her family asks that in lieu of flowers, please make an impact through donation or volunteering. Please carry on Hailee?s mission at a local domestic or child abuse charity. If you cannot locate a charity, please send donations In Memory of Hailee Jean Conrad to St. Mary?s Catholic School Tuition Assistance Fund. These can be mailed to 2211 E Lakeveiw Dr, Johnson City, TN, 37601. Services will be held Tuesday December 19th at St. Mary?s Catholic Church in Johnson City, TN. Family will receive friends from 4p-6p at the church and the funeral service will follow at 6p. As a personal note to the entire Conrad family, this settles a long standing debate. Now that God has called Hailee to hang out with Memaw, we can all say with out a doubt who Maw?s favorite is. Life is so tender, so fragile, so very precious. God is our refuge and strength? Psalm 46:1 Our Family’s Thoughts & Prayers and deepest sincere sympathy for the untimely & devastating loss of Hailee. All the wonderful memories over the years as our children grew up from St. Mary?s school and Conrad family is very special to us. All Our family is heartbroken and Our words are not adequate to express the sorrow we feel. We have your family in our daily thoughts & prayers for strength and comfort. Heaven is a place nearby, so there?s no goodbye. Your memories & Love for Hallie will guide you during this time of sadness with the Lords help and may Hailiee?s memory be eternal. To the entire Conrad family please know that you are all in my thoughts and prayers. I wish I could take away your pain and offer my deepest sympathies. God bless you all. Although it is difficult to see beyond your sorrow today, may looking back at your loving memories of Hailee help in comforting you tomorrow. Conrad family, I am so sorry for your loss. 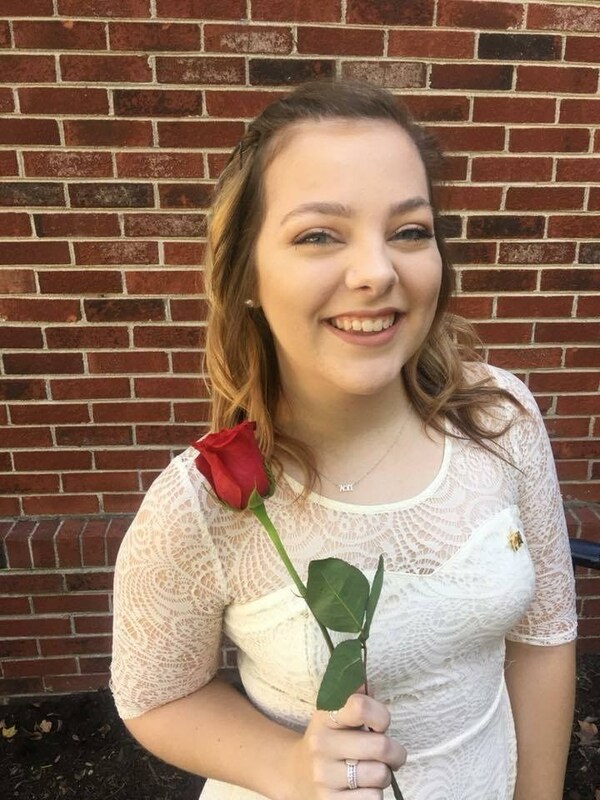 I work closely with the Kappa Omega chapter of Alpha Omicron Pi, and while I never had the pleasure of meeting Hailee, her sorority sisters have shared what an amazing young woman she was. You are in my thoughts and prayers during this difficult time. Dear Conrad family, we are devastated and heartbroken to learn of Hailey’s passing. We will always remember her sweet smile and the joy she brought to her classmates at St. Mary’s School. You are in our thoughts and prayers during this difficult time. Her memory will live on in the many lives that she touched. Rest in peace sweet girl. Of course, there are not enough words to express the sorrow we have for your loss. No one will ever understand the loss of a child. Just know our thoughts and prayers are with you and hoping you have strength to continue to navigate on earth knowing she?s guiding you in some way. Sincere sympathy! Our hearts are shattered to hear of Hailee?s death. Please know that the Conrad family is in our thoughts and prayers during this tragic time. We will always cherish our memories of Hailee at St. Mary?s school. Our deepest condolences to all. We are praying for God to comfort you as only He can do. We have fond soccer memories of when these girls were young.,we ask God to pour out His unending grace in the dsys ahead. We are so very sorry to hear of your loss. Hailee was such a spunky gymnast and a sweet , sweet girl. May God comfort your hearts through this time. Hailee, I wish I would have gotten to know you better than I did, but I still have so many memories with you from bring it on and everything we did throughout it! I love you so much and you will be missed every single day. Your light will be shining on all of us. Alpha love and all of mine ?? To her family: I am so sorry for your loss. She was the sweetest girl and she impacted every single person she met. Just know she is always with each of us, and she would want us to live each day to the fullest! Tom , so very saddened to hear of the passing of your daughter. Please know your in our thoughts and prayers . Tommy, Cheryl and Family, we are so sorry for your loss, which we are all feeling. Please know that you are in our thoughts and prayers. We know that Hailee will live on not only in our memories but also in the St. Mary’s Catholic School Tuition Assistance Fund. So sorry to hear of this tragedy, she was such a pretty girl and always so sweet to me, your family will be in my prayers.